Standing At: Hyperion Stud, LLC. Owner of Record: Hyperion Stud, LLC. Imothep is a star in the show jumping world and breeding industry. In 2007 he was approved by the OL, RPS and ZfdP studbooks in Germany. In 2011, Imothep was fully approved and licensed by the BWP and awarded the “Elite” status, becoming the only Indoctro son in Europe and North America who has been given this acknowledgement. In 2014 Imothep was awarded the Ambassador status with the BWP, was fully licensed with the KWPN and approved by AHHA. Imothep was acknowledge as the 2015 Horse of the Year with KWPN-NA. His sire, Indoctro, is one of the best producing stallions in the world today. This “Preferent” stallion is one of the best breeding stallions of our time. He has countless offspring in all levels of jumping sport, along with several approved sons. Imothep’s Dam’s Sire Calvados descends from top French lineage. He has had many offspring who have been winners in Grand Prix’s and World Cups. For this reason he earned his predicate. Imothep has a wonderful temperament, class A jumping style, impressive athletic power and beautiful movement. He is naturally balanced, intelligent and is proven as a top jumping athlete as well as breeding stallion. As a breeding stallion, Imothep has produced a champion and premium foals. Imothep’s 2012 Colt, Hero, scored as Site Champion for Young jumpers and Jumper foals at his KWPN inspection, and Reserve Champion in North America. Imothep’s progeny are beautiful, well tempered and possess big movement through the hind end. He is a stallion who offers his best qualities to each and every foal. 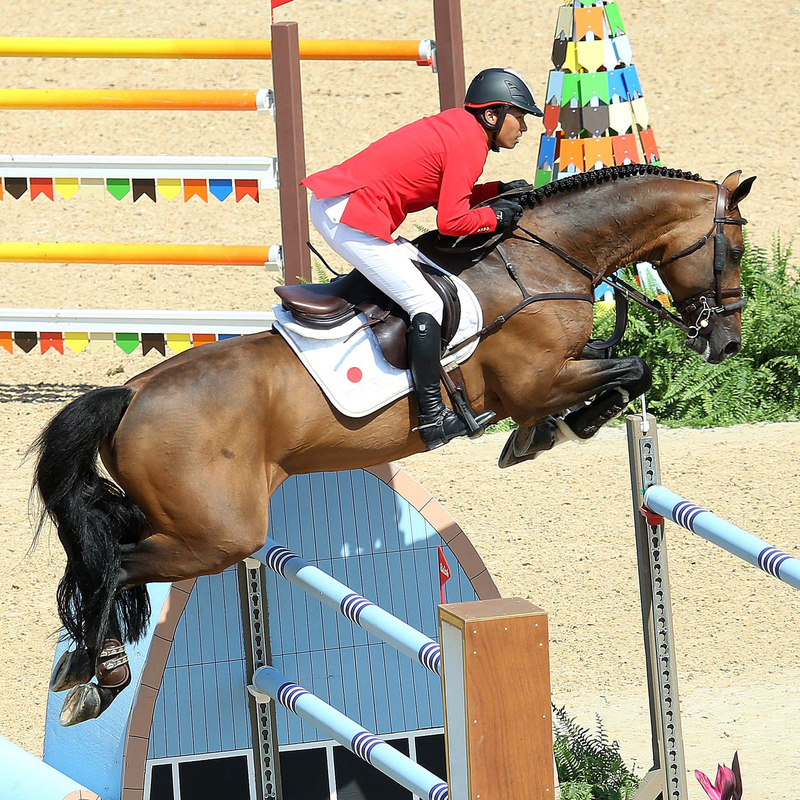 As a sport horse, Imothep has acquired numerous results at the National and International Grand Prix level throughout his career. In 2014 his greatest accomplishments included 3 Nation’s Cup events for Team Ireland at Aachen (4/0), Hickstead (0/0) and Dublin (4/0). That same year, under Irishman Darragh Kenny, the pair finished 12th of 153 horse/ rider combinations at the 2014 World Equstrian Games in Normandy, France.